As you'd expect, there's no real benefit to the new 6Gbps interface for random operations (particularly at low queue depths). Sequential speeds are much improved however. Xbench shows up to a 60% increase in performance in sequential operations. You'll note that the absolute numbers are pretty low to begin with. A 128KB sequential read of the Intel SSD 510 on our desktop Sandy Bridge SSD testbed pulls nearly 400MB/s. On the new MacBook Pro we can't get more than 320MB/s. Our sequential Iometer tests are run at a queue depth of 1 so there's no advantage there. The only explanation I can come up with (assuming Xbench's test is accurate) is that Apple may be aggressively implementing SATA controller power management under OS X. Capping the link's performance or aggressively putting it to sleep could reduce performance at the benefit of increasing battery life. I only noticed this with the Intel SSD 510, the Crucial RealSSD C300 and Vertex 3 both performed identically between the 13 and 15-inch MBPs. I'm not sure what's going on here at all, although I suspect that it's somehow related to the issues users have been having with some of these drives (more on this below). 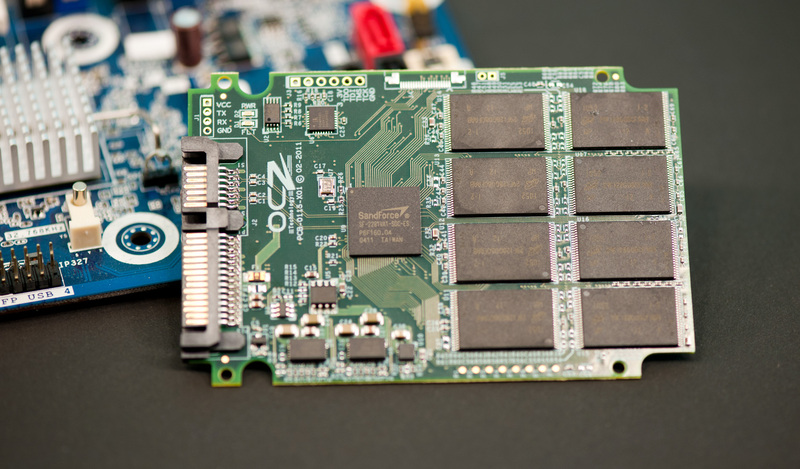 Where does all of this discussion about SSDs leave us? Unfortunately recommending an SSD for the new MacBook Pro today is pretty difficult but I'll try my best. If you're the conservative type and just wants something that for sure works with little to no concern about absolute performance, the Apple SSDs are probably the safest bet. You'll get a drive that's much faster than a hard drive, fully supported by Apple and with TRIM support. Yes, that's right, OS X finally has TRIM support but Apple only enables it on it's own branded SSDs. To Apple's credit, given the number of problems I've seen with SSDs over the past couple of years it makes sense to lock down and only support drives you've validated. On the flip side however, Apple should be validating and working with controller makers to ensure all drives work under OS X. Making as much money as Apple does, I don't buy the "we didn't have the time/resources" argument. If you are going down the Apple SSD path, at least the 128GB drive isn't super ridiculously priced, although I'm less comfortable recommending the 256GB version unless you can get it at $500. Now if you want to get a faster SSD or actually take advantage of the 6Gbps interface, things get more complicated. I've heard reports of users having issues with the Intel SSD 510 and Crucial RealSSD C300. I've tested both drives as well as the OCZ Vertex 3 in three different MacBook Pros, and in all cases the drives worked perfectly. They were all detected as 6Gbps drives and all performed well. I should note that while I couldn't get the Vertex 3 Pro to work in the 2010 MacBook Pro, the Vertex 3 worked just fine in the 2011 MacBook Pro. The Vertex 3 is the fastest drive out of the aforementioned three, but its availability and firmware maturity are both unknowns at this point. 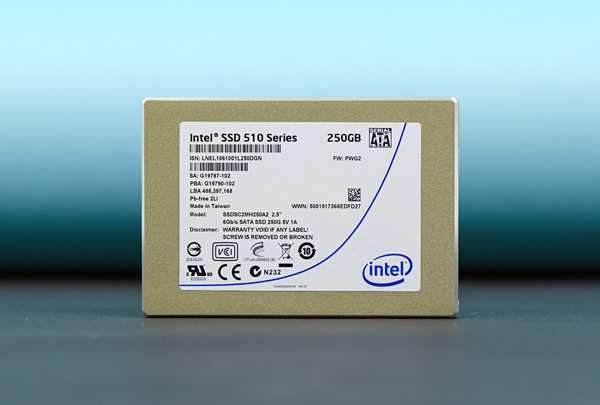 If you have to buy today and are ok with the chance that the drive may not work (given other experiences online, although I haven't seen problems), Intel's SSD 510 is likely a good runner up (at least for the 15-inch, the C300 seems to perform better on the 13). As far as the reports of incompatibilities with these drives are concerned, I'm not really sure what's going on. I've been hammering on all of the drives, putting the system to sleep/waking it up, and haven't encountered any failures or high latency IO operations (stuttering) yet. That's not to say that these problems won't appear over time (I'm currently doing long term testing to figure that out now), but just that I haven't seen them yet. 1) What are the full specs of your MBP? Any upgrades? 3) Describe the symptoms of the issue—beachballs, data corruption, etc...? What do you have to do create the issue? 4) Is the drive detected as a 6Gbps drive or a 3Gbps drive? 5) Take me through your drive installation procedure, did you just pop it in, partition and install OS X? 6) Any visible damage to the SATA flex cable when you installed the drive? 7) Have you tried exchanging the SSD or MBP? Any difference in behavior? We haven't seen any issues on three different 2011 models that we've been testing here extensively with the Intel SSD 510, Crucial RealSSD C300, OCZ Vertex 3 and OCZ Vertex 2. I realize a number of you are having issues so the more details I can get the better.